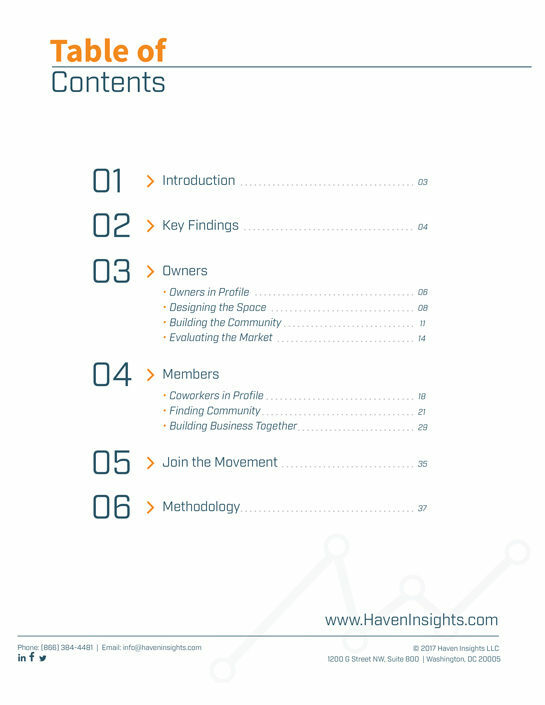 Haven Insights is a full-service market research firm based in Washington, DC. 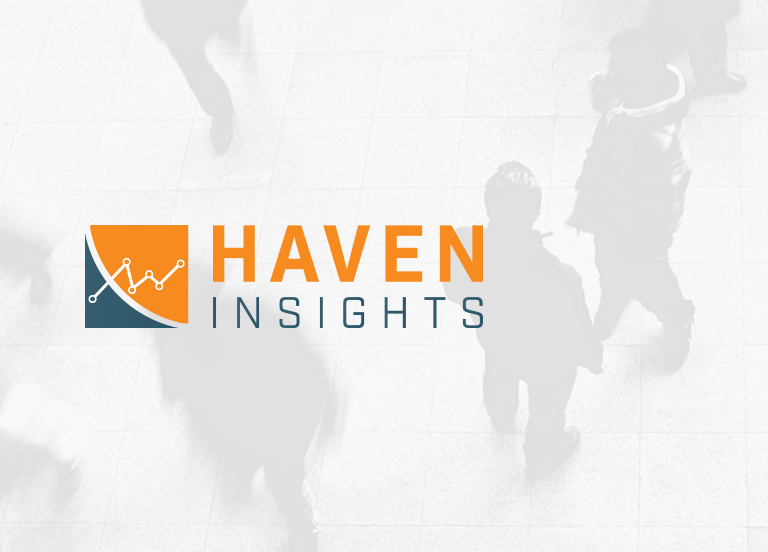 The offer professionally-managed survey research and custom analytics to empower growing organizations to understand their market. When the owner reached out to us, the company was rapidly growing and needed a brand identity system overhaul to better convey their mission. Their identity needed to display the efficiency of their work and instill trust in their customers. We created a brand new concept for this identity makeover. The logo and color palette were completely revised. We chose to use tangerine orange as the dominant color, opposite astral blue with some gainsboro gray accents. The shape of the logo was an important part of the design. It needed to be versatile to accommodate its horizontal and stacked format. The lines and typography needed to reflect the preciseness and accuracy of their services. 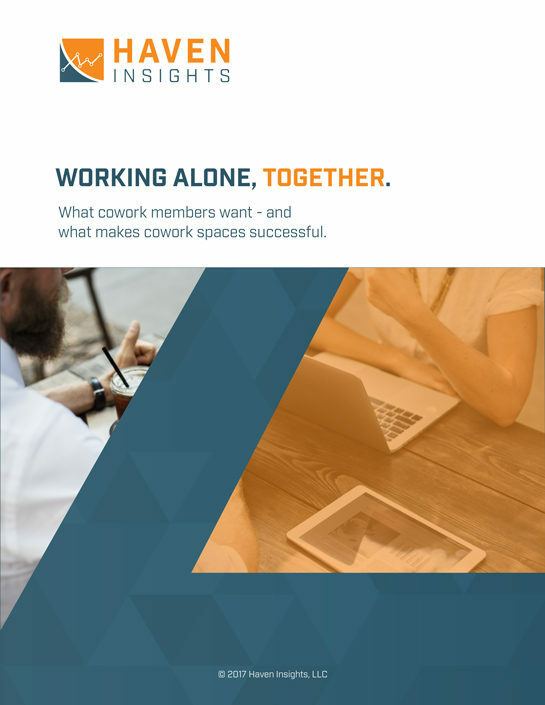 The project included the design of a research report on the growth of cowork spaces in the U.S.
Iconography and infographic design are a great way to condense information and share it on social media to engage your followers. ©2019 Converset Design - All rights reserved.